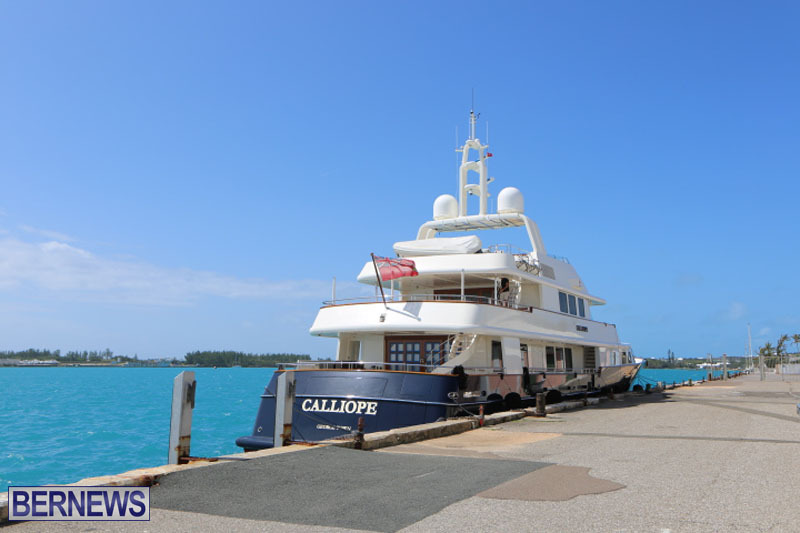 The 138ft Calliope, a luxury motor yacht which is presently listed for sale with an asking price of $21 million, can be seen docked in St. George’s today [Apr 7]. 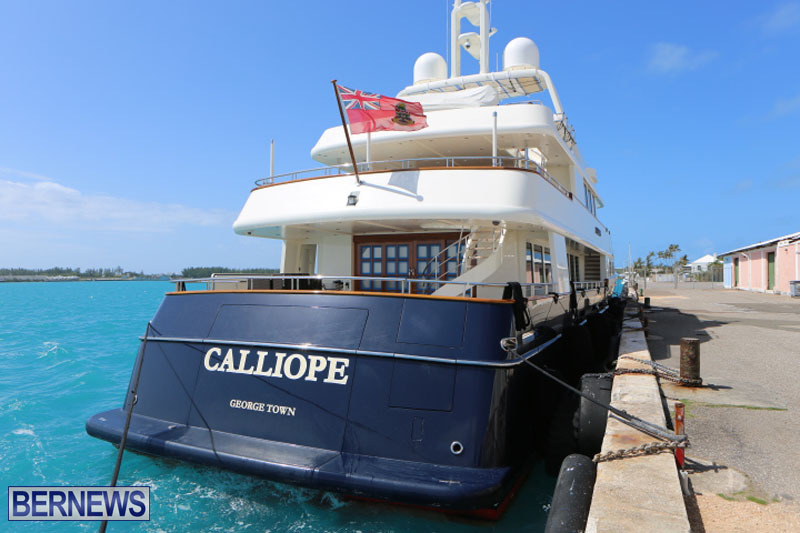 According to their website, “Calliope combines state of the art technology, a chic and comfortable interior and five-star service for a unique experience tailored to the needs and desires of each guest. 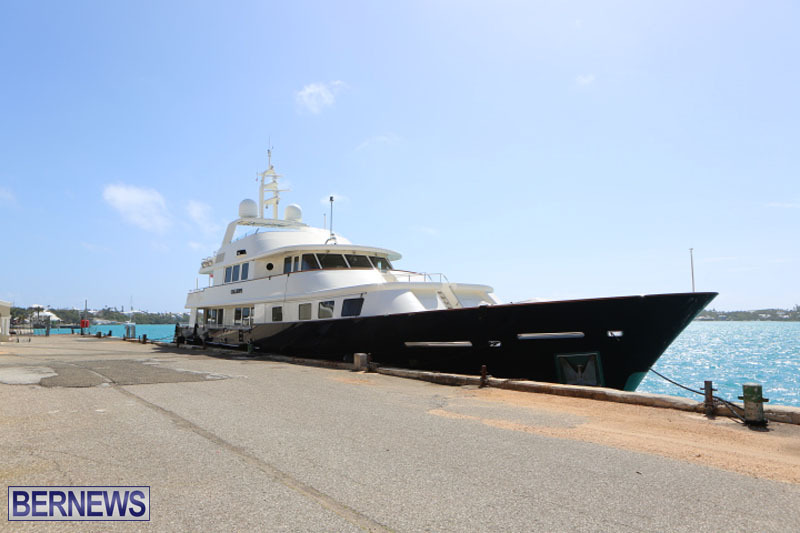 “Guest accommodations include a Main Deck full-beam Master Suite with a king size bed and private seating area, his and her bathrooms, plus a separate library/study. 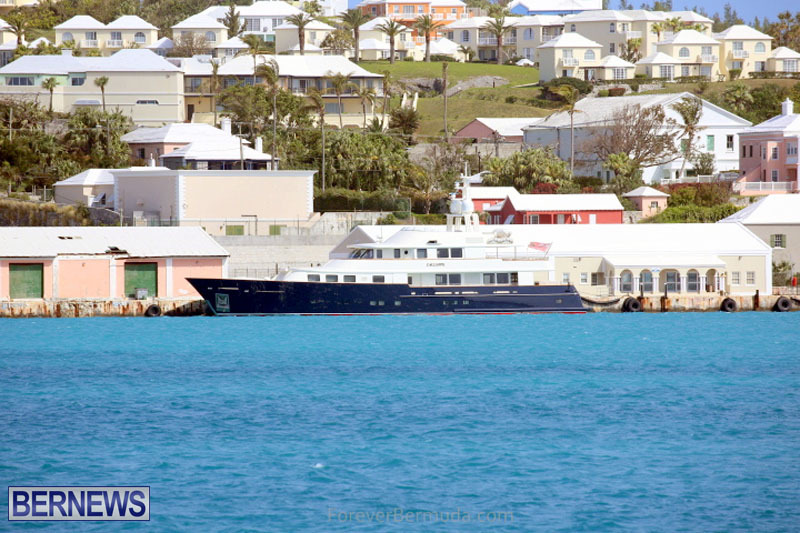 “Two spacious en-suite queen staterooms and two en-suite twin staterooms are featured on the Guest Deck below. 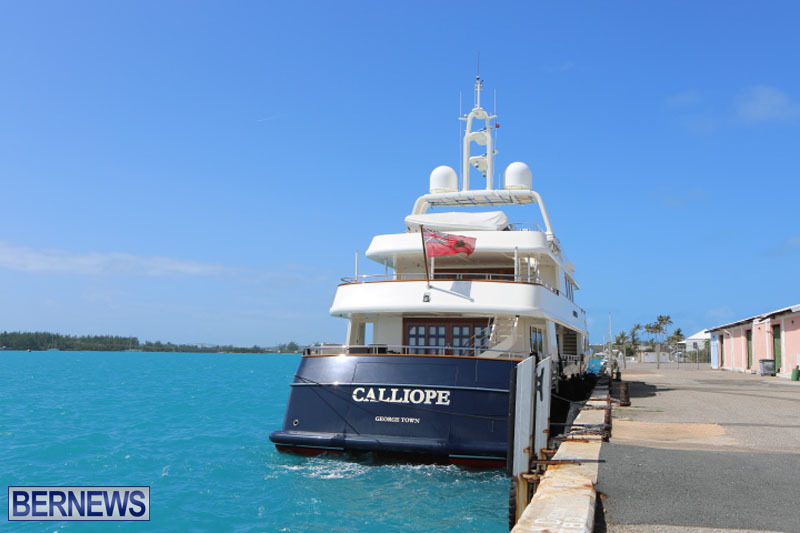 Calliope also features two spacious salons, a formal dining room, two aft decks, a sun deck with a Jacuzzi and a lazarette gym plus large swim platform. Could’ve got it with some of de America’s Cup money. Did i say take it off the moorings?….no i did not! !…i toe you go tuit and klean it….then go home.. i did not say take it out and motor about willy nilly……did i say willy nilly…no i did not…..then you show it as you are selling it?…..oh …my….God……this is what happens when you hire the wrong people to clean your boat! Yes siree…just put it on my Clari…ooops I mean Capital G credit card! meh, my punt is that size. Too bad they did not show the Bridge on their tour of the vessel. Will they accept $100,000 for it?